But, there are a lot of different costs associated with purchasing a home. So, when you get serious about doing so, you need to add up all those costs to see whether you are ready to take the next big step in your life. 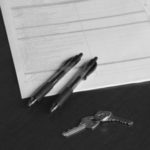 The following list is not a fully comprehensive one—the exact costs associated with your home purchase may vary depending on circumstances surrounding the home, its location, and your own financial life. But it should give you a more complete view of what you need to be able to afford. Down payment. This may range as high as 20%. If you are a first-time homebuyer or a veteran however, you may qualify for a low-down payment or no down payment. Earnest money deposit. This may range between 1-3% of the offer price. Home inspection fees. These may vary anywhere from $300-$500. Closing costs. 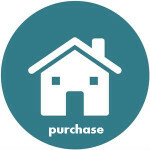 Closing costs are distributed to various parties involved in the purchase of your home. They typically encompass many different costs combined, like fees paid to attorneys, processing fees and so on. They are usually around 2-5% of the purchase price. Cash in reserve. This is not a “cost” per se, but it is money you need to have available at the time of purchase. It may add up to as much as 6 months of mortgage payments. Renovation and repair costs. 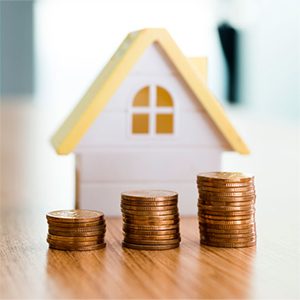 These are not applicable in every case, and in many situations, you can get the previous owner to pay these costs as a condition for finalizing a sale. But some costs you may get stuck with yourself. Moving costs. Moving itself is expensive. That is true whether you are hiring movers or doing everything yourself. You may also need to take time out of work, and in some cases, you may be driving some distance. Account for these costs. Mortgage payments (and interest): This one is self-explanatory. Every month, you must pay off some portion of your mortgage. Just don’t forget to account for how the interest will add up over time. Mortgage insurance payments: You may be required to purchase private mortgage insurance (PMI), which safeguards your lender should you stop paying on your mortgage. Homeowner’s insurance payments: This may also be a requirement of your lender as per the terms of your loan. Homeowner’s insurance protects you financially in case of fire, theft, vandalism, and so on. In some areas, you may also have to buy flood protection or other special insurance policies. Rental costs: You may be purchasing a manufactured home in a mobile park. If this is the case, you may be paying rent on top of your mortgage. Property taxes: Here is one cost which will never go away. Even after you own your home in full, you will still owe Uncle Sam. Utilities costs: There are many utilities costs you will have to pay out of pocket when you own your own home which would be included with your rent at most apartments—trash and recycling, water, power and so on. Ongoing repairs and maintenance: A home doesn’t take care of itself. Over the long years ahead, you will need to pay regularly on the upkeep of your house. 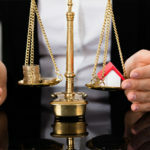 You will need to do the math to figure out whether you can afford the initial costs of purchasing a home and the continuing costs of owning one. This can be quite a complex equation, so if you need assistance, please do not hesitate to reach out to us. Contact B Home Mortgage at 602-953-6677 and we will help you figure out how much home you can afford.